Jewish Meditation MP3 audio classes and thoughts and ideas, practical hands on teachings from traditional authentic Jewish sources in Chassidus, Kabbalah, Mussar and Philiosophy, Avraham Maimonides, Rav Chaim Vital, Ba'al Shem Tov, Noam Elimelech, Kedushas Levi, Rebbe Nachman of Breslov and more. With wishes for a peaceful and uplifting Shabbos. All these Meditations are based on authentic Jewish, Chassidic, Kabbalistic, Halacha and Mussar sources and they are all 100% safe. Check back weekly for new classes. Description: The Meditations of the Noam Elimelech of Lyzhansk from Tzeital Katan. Meditations include Mesirus Nefesh, Character refinement, Eating with Kavana. Description: The Meditations of the Noam Elimelech of Lyzhansk from Parshas Lech Lecha, a meditation about prayer in general especially with visualization of Israel, Jerusalem, the Holy Temple and the Holy of Holies. Also: Hashem speaks through us. And from Igros Kodesh and the Talmud Yerushalmi: Visualizing the Rebbe who is teaching us. Description: Reviews of use of the Sheviti. 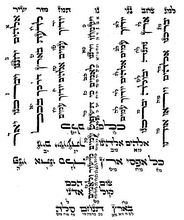 The Meditations of the Noam Elimelech of Lyzhansk: the body as a vehicle for G-d's presence using the diagram found in Shaerei Tzion, Siddur haRashash, Ben Ish Chai and the Toldos Aharon siddur. 4th Chapter of Hachsharas HaAvreichim of Piasecna qualifying the thought and imagination process. 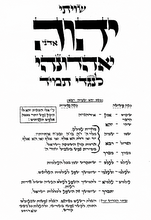 The prayer before praying of the Noam Elimelech of Lyzhansk. (Includes image files of the cards in jpeg format). Description: Reviews of use of the Sheviti. Shulchan Aruch Code of Jewish Law OC Siman 98, Kavana in prayer. Shevisi using the ideas from Sha'arei Kedusha the Gates of Holiness of Rabbi Chaim Vital and the Gemara / Talmud in Chagiga and the 7 heavens with a prayer from the Selichos. Using emotions and feelings, imagination to aid in visualization and meditation. Description: Shulchan Aruch Code of Jewish Law OC Siman 5 Kavana in Brachos, The Meditations of the Kedushas Levi of Rav Levi Yitzchak of Berditchev, Intro to Hachsharas HaAvreichim of Piasecna. Description: Intro to Hachsharas HaAvreichim of Piasecna cont'd till end of Chap. 1, Also 1st intro to Siddur Tefillah Yeshara w/ Keser Nehora commentary: Speaking with Divine Inspiration. Using the 4 letter name and the PrayerBook as Black & White Fire, Clouds and Heaven. Description: Rabbi Nachman of Breslov - Hisbodedus - Personal Secluded Meditation / based on the book Outpouring of the Soul by Rabbi Aryeh Kaplan - selections. Topics include: speaking to G-d Hashem in our own language. Prayer in nature. Description: Rabbi Nachman of Breslov - Hisbodedus - Personal Secluded Meditation / based on the book Outpouring of the Soul by Rabbi Aryeh Kaplan - selections. Continued. Topics include: Silently Screaming. Simplicity. Selections from the book Jewish Meditation: A Practical Guide by Rabbi Aryeh Kaplan - Defining Meditation Intro. Controlling the thought process. Engraving images into the mind. Shviti Hashem - engrave the 4 letter name of Hashem. The Talmud tractate Shabbos 30a on Simcha & Joy & Music, expanded vs restricted consciousness / sensory experience vs sensory deprivation to enhance experience (Includes image files of the cards in jpeg format) Shulchan Aruch Code of Jewish Law OC Siman 51:9. Psukei Dzimra and song. Description: Selections from the book Jewish Meditation: A Practical Guide by Rabbi Aryeh Kaplan - Discovering & relating to Him. G-d surrounds yet also fills the worlds and us. Structured vs Unstructured meditation. Using a Mantra. Selections from the book Jewish Meditation: A Practical Guide by Rabbi Aryeh Kaplan - Cont'd Topics: Hisbonenus - Contemplation of objects such as the Shabbos Candles, Tzitzis. Yichud through Tzedaka - Charity as a meditation. Visual vs Verbal meditation. Description: Selections from the book Jewish Meditation: A Practical Guide by Rabbi Aryeh Kaplan - Cont'd Topics: Visualization on the Divine 4 letter name. Selection from the book Visions of a Compassionate World - Tna'ay Ha' Nefesh le' Hasagat Ha' Chassidut by Rabbi Menachem Eckstein translated by Yehoshua Starrett. Humility and knowing your place in this world. Human emotion and desires visualized. Description: Selections from the book Jewish Meditation: A Practical Guide by Rabbi Aryeh Kaplan - Cont'd Topics: Hisbodedus Rabbi Nachman of Breslov's path speaking to Hashem in personal prayer. Derech Ha'Melech the quieting, Haskata of the Aish Kodesh the holy Rebbe of Piasecna. A personal meditative technique for calming relaxation. Description: Selections from the book Jewish Meditation: A Practical Guide by Rabbi Aryeh Kaplan - Cont'd Topics: Jacob's ladder: the 4 worlds or spiritual realms of the prayer service. Description: Shavous / Yiras Shamayim - Preparation for receiving the Torah and reliving the Sinai experience. Story from Bostoner Rebbe Shlit"a of RBS about the Ba'al Shem Tov and Mezritcher Maggid. Story about Rebbe Reb Zisha. Description: Degel Machne Efraim parshas Shelach - Tzitzis and Techeles (similar to ideas also found in audio class #13). Description: Preliminary Meditations - Anchoring yourself tying yourself down, Circle of Light & Protection - Original novel meditations based on Shela HaKodash, Shaarei Kedusha of R' Chaim Vital, Noam Elimelech, Talmud - Eyn Yaakov, Maharsha, Ben Ish Chai. These Shiurim are being taught on an on-going basis as a series, when a full set will be completed we will imy"h post a buy button for an entire set at a discount. Maybe You would like to receive each new MP3 Audio Class lecture every week as they become available? Just subscribe below and you will receive the first MP3 Audio Class free, the next week 50% off the second MP3 Audio Class is just $1.00, and thereafter each week you will be billed automatically for $2.00. 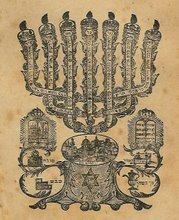 2:00 pm EST, "Jewish and Chassidic Meditation," based on classics, Rabbi Avraham Maimonides son of Rambam, Piaseczna Aish Kodesh, Noam Elimelech, and the Chassidic Siddur Tefillah Yeshara (with the commentary of Keser Nehora and others) are presented by Rabbi Tal Moshe Zwecker, in the "Torah Chat" Room. 1 hour.